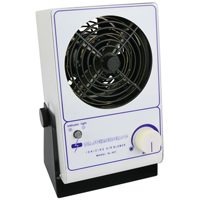 Air Ionizer Dr. Schneider SL-001 designed to neutralize static electricity. The phenomenon of electrostatic discharge leads to problems during production or service facilities such as. damage electronic circuits, clogging elements on the tapes or vibrating conveyors , adjacent foreign bodies, eg. Dust, etc. The solution to these problems are ionizers, which can completely neutralize static electricity or limit to a minimum. Fan Ionizers are designed for larger areas. 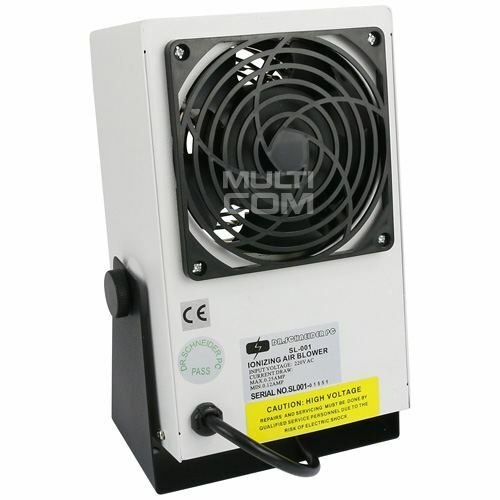 Model SL-001 has a flow variable speed fan for airflow to 110CFM. The device has a mechanism for cleaning the electrodes. Ionizer very well in with a humidifier in the process of repairing damaged LCDs.